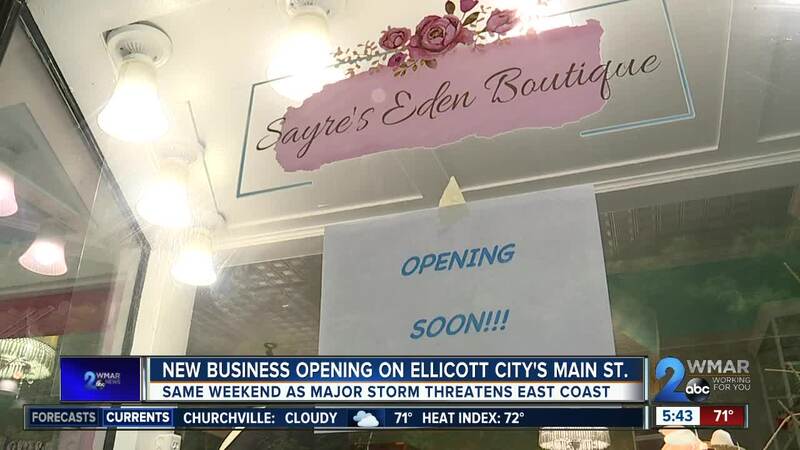 As Hurricane Florence comes closer to Maryland, we're also keeping an eye on Ellicott City this week. After experiencing devastating flooding twice in two years, a group of about 30 business owners are asking to the county to move forward with its flood mitigation plans. Last month, the county released details of a five-year plan, including key components that would address the town's lower Main Street within a year. Part of the initiative would have the County acquire and remove 10 buildings on the south side of Main Street, allowing for the creation of a public open space amenity with a wider, deeper river channel in their place. Additionally, at least two culverts, 10-feet in diameter are expected to be installed beneath Maryland Avenue to carry water from the Tiber-Hudson branches further downstream into the Patapsco River. Julia Sanger, owner of Park Ridge Trading Company, wrote the statement as a response to the announcement and the "backlash, lies and negativity that is floating around. We wanted to share a unified message." The statement reads in part: "There is no more time for studying. There is no more time for debate. Yes, our hearts break with yours at the idea of removing part of the history that comprises our town, but we also recognize that without this change, there will be no future. Without the current plan, there will be no Main Street to protect. Without the current plan, businesses will fail. Without the plan, more lives will be lost. We will not, and can not, allow that to happen. Ellicott City, and all that it encompasses, means too much." Greetings and salutations from a collective of business owners on Main Street in Ellicott City. We thought it appropriate that we share our collective thoughts with you, given the contentious and extremely divisive environment we find ourselves faced with at this monumental point in the history of our little town. We want to begin by expressing our love and eternal gratitude to those who have survived with us, mucked out with us, struggled to rebuild with us, and supported us. Those who have put their bodies where their mouths are, will be forever in our debt. Those who have lost their lives in this town, will forever be in our hearts. Two shocking, catastrophic, and deadly floods in the space of 22 months. That’s what we’ve been up against. Events that, alone, we wouldn’t wish upon our worst enemies. Events that have destroyed everything we know and love. We need you to please take a moment and let that sink in. Digest the idea of losing everything you have, everything you have built, and potentially everything and everyone you love, in a matter of minutes. Set a timer for four minutes. What can you do in that time? Do you think you could gather all of your crucial belongings? Do you think you could organize a bunch of employees? Do you think you could find your keys and get to your car? Because on May 27, 2018, all it took was four minutes to go from cars and people on the street like any given Sunday, to utter destruction. We no longer have the luxury of time. We can no longer wait. There is no choice. To be a part of the unique community that comprises Main Street is to be bestowed one of the great honors in life. And we don’t take that honor lightly. We carry on our backs the history of those who came before us, and we strive to continue that legacy. We love this town. We love the community. We love all that it represents. But in order to continue to thrive, to continue all that we want to be a part of, there must be a change. That change must be drastic. And that change must happen now. There is no more time for studying. There is no more time for debate. Yes, our hearts break with yours at the idea of removing part of the history that comprises our town, but we also recognize that without this change, there will be no future. Without the current plan, there will be no Main Street to protect. Without the current plan, businesses will fail. Without the plan, more lives will be lost. We will not, and can not, allow that to happen. 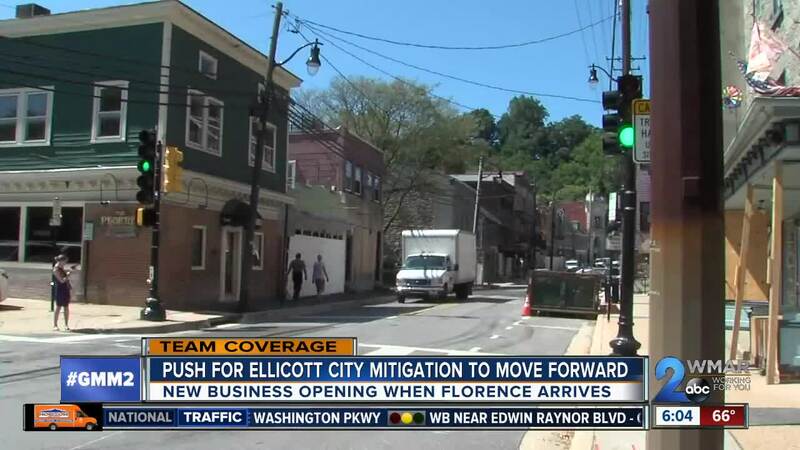 Ellicott City, and all that it encompasses, means too much. There is a time to build up, and a time to break down. A time to gain, a time to lose. Let us act now, before it is too late. Thank you. The public hearing will be held at 7 p.m. on September 17 at the George Howard building.